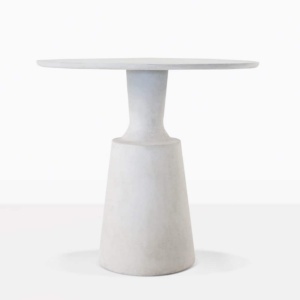 Finally, a café table that is both heavy duty and chic! 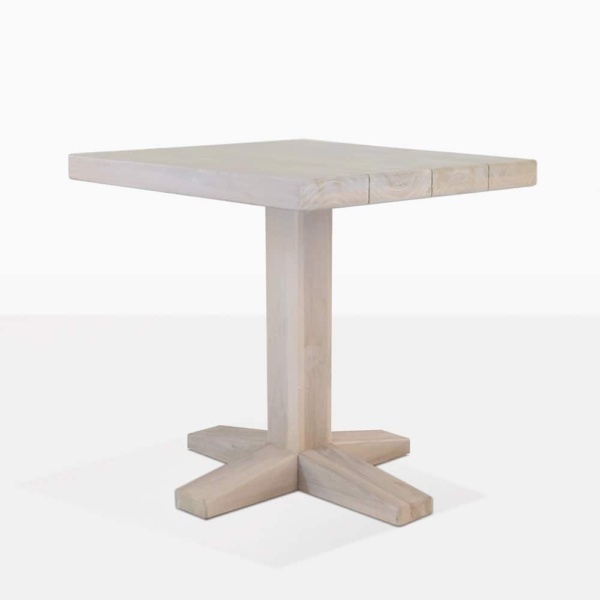 We are proud to present to you the very fabulous Sherman Teak Bistro Dining Table. The Sherman Teak Bistro Dining Table is the perfect size for 1 to 4 people, and ideal for many spaces from your patio to commercial spaces. Sherman boasts a strong and sophisticated look that many love! 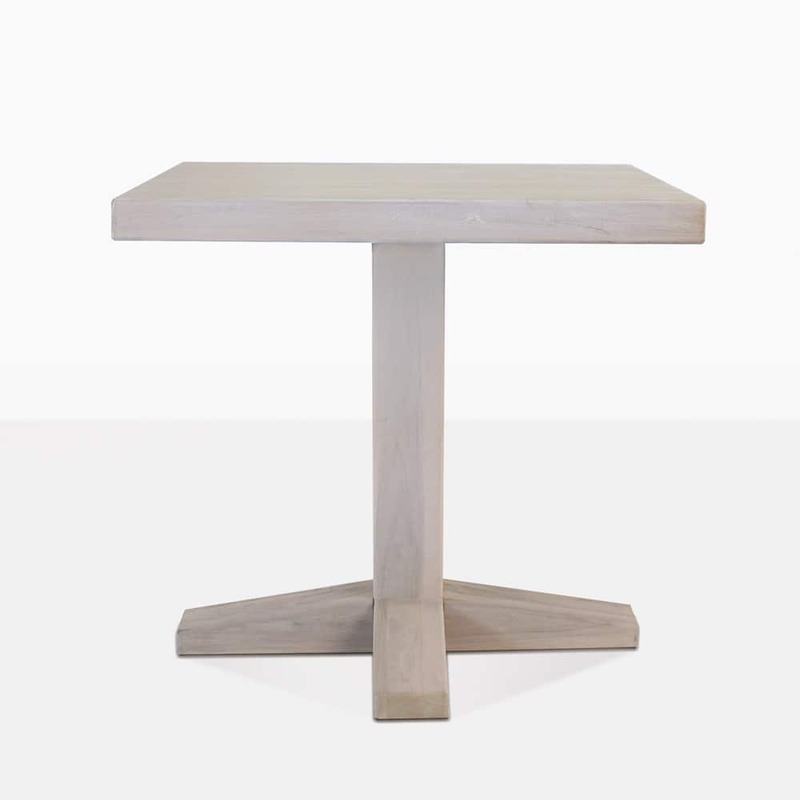 This Bistro Table presents an attractive square shape, with a thick pedestal leg and striking ample planks of Reclaimed Teak on top, giving you something that looks and is robust and pleasing! 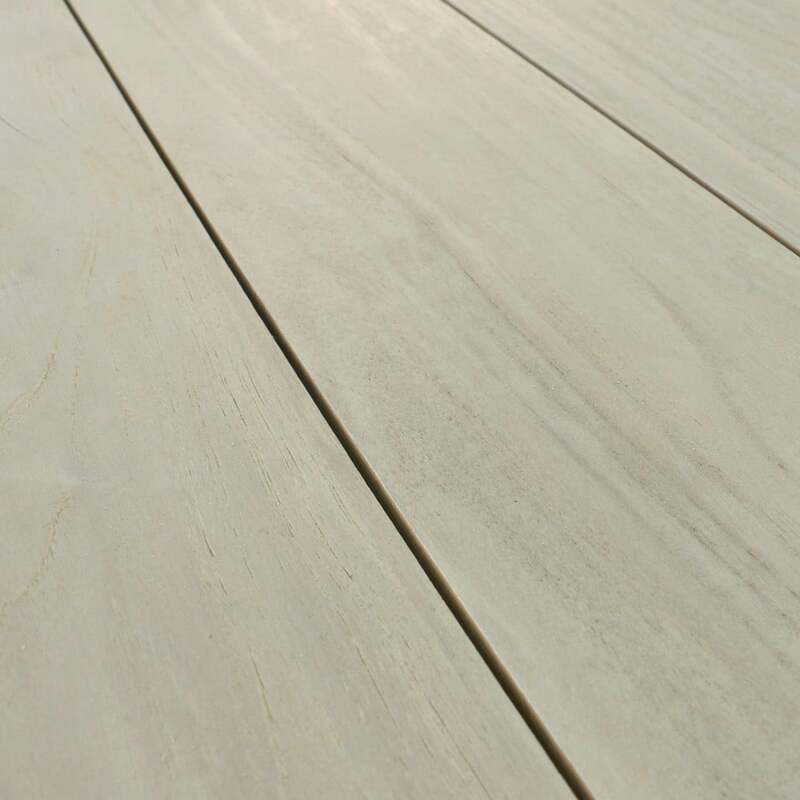 Perhaps your café or restaurants courtyard is in need of an upgrade. 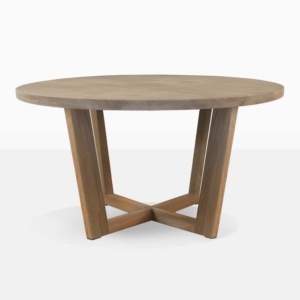 Place several of the Sherman Teak Bistro Tables in a configuration and finish off this striking and alluring look with a simple Dining Chair; we have so many to choose from. Your customers will adore the care you’ve taken to given them a setting that is stylish, classy and extremely comfortable. Maybe your own backyard could do with freshening up? The Sherman Teak Dining Table with 4 Wicker Dining Chairs will create the perfect breakfast spot for you and your friends to take in the great outdoors in peace and harmony. 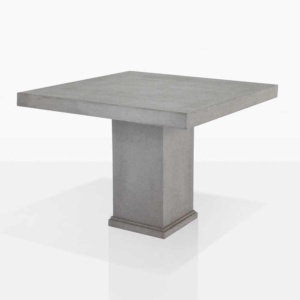 The Sherman range includes this gorgeous Bistro Café Table as well as a full size Teak Dining Table, so you can cater to your space with a look that is inviting and incredibly stylish. The Sherman Bistro Teak Dining Table is the perfect choice for your home! Call us today to order yours!